Ernest de Leon.com: Dell Vostro - Low cost quality PCs to power your business. Dell Vostro - Low cost quality PCs to power your business. When you need a PC for your small business, you have to consider price, usability and quality (often in that order.) Dell has been the preferred vendor of the business world for a long time now, but their offerings were often priced higher than competitors for the same caliber of PC. You often paid a premium for a uniform vendor for all of your technology needs, and this was before you even purchased support. I will say that their line of business laptops (Lattitude) was definitely a cut above the rest, but not all small businesses need that kind of PC. Dell's Optiplex desktop line is also the premier line of desktop PCs in the business world. They are fine machines that perform excellently. Recently, however, Dell shifted their focus to the small business owner. According to the most recent US Census data, small businesses account for over 70 percent of businesses in the US. Naturally, this is a pretty large segment to cater to, and it seems like Dell has finally figured that out. Not to long ago, Dell announced the launch of their new Vostro line. Tagged as "Designed for Small Business," the new Vostro line of laptops and desktops comes with no trialware (translate to no bloat that slows down the PC from the beginning,) a 30 day money-back guarantee and a comprehensive set of standard services for small businesses. The new look of the Vostro line is also minimalist yet refined - a perfect match for the professional. Although desktop PCs are still being used, recent improvements in mobile technology have allowed laptops to come close to the performance levels of their non-mobile counterparts. 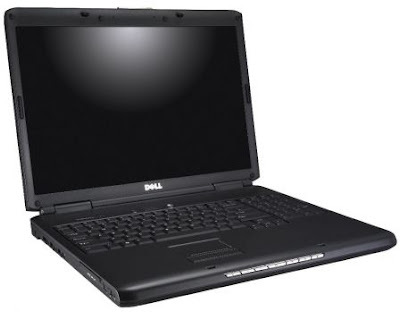 Laptops with 17 inch screens like the Vostro 1700 pictured here also feature full size keyboards with number keypads. Unless there is a reason that you absolutely do not want a laptop (such as a receptionist workstation) I would recommend opting for the best laptop you can afford. In order to make life easier, Dell offers professional services to the small business owner to help with the day to day needs of information technology. Dell Connect allows a Dell technician to troubleshoot your PC remotely. DataSafe Online Backup allows you to securely backup your data so that it can be restored even if a disaster causes your PC to be destroyed. PC TuneUp keeps your PC running at maximum efficiency. Dell Network Assistant allows you to easily connect to most simple networks. Warranty terms of up to 4 years allow you to protect your investment for the long haul. All in all, Dell has really stepped up their presence in the small business arena. The new low cost Vostro line definitely delivers the best mix of price, usability and quality to the small business user. The myriad of Dell services available with the Vostro line gives the small business owner the opportunity to own business class technology without having to hire dedicated IT staff to maintain the equipment. Backup and repair services give the small business owner peace of mind when disaster strikes their business. The style and performance of the Vostro line are perfect for small business. It goes without saying that I highly recommend the Dell Vostro line to any small or medium sized business who is in need of new PC(s).